Since it's the most utilized element on an iPhone, it's no surprise that the Home key (aka Touch ID) is likely the first thing to break. If your Home button does get damaged or stars to malfunction, you can use Apple's Assistive Touch feature in iOS to help you out until it gets fixed. There are ways to prevent this from ever becoming an issue in the first place. Once way is to use Assistive Touch more regularly, but a more convenient option for alleviating Home button stress, and hopefully extending its lifespan, is to move your app switcher (which takes a quick double-press of the Home button) to a better place—your swipe-up Control Center. This is a Cydia tweak we'll be using, so you will have to be jailbroken. 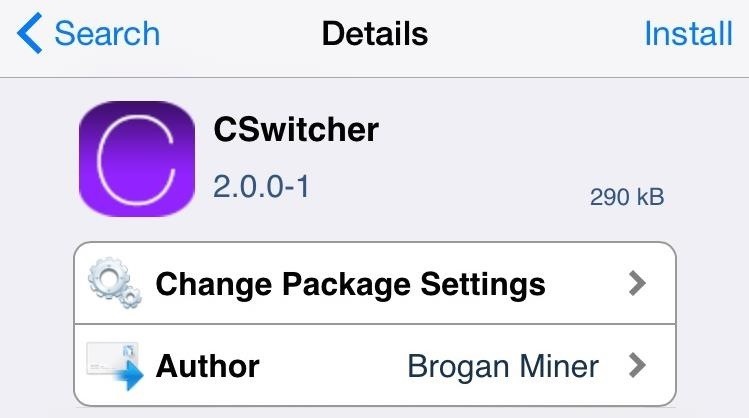 Enter the Cydia app to search for and install CSwitcher from developer Brogan Miner, which works for both iOS 7 and iOS 8 devices. After the tweak is installed, you'll need to hit the "Restart SpringBoard" button to activate it. 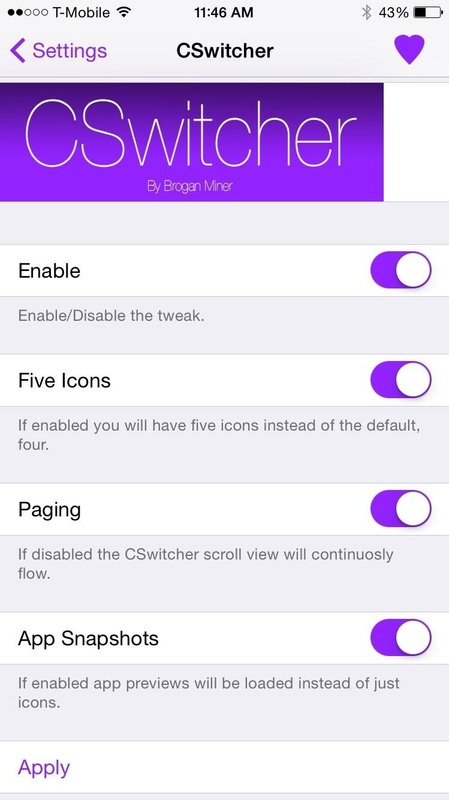 Under Settings -> CSwitcher, you have the option to enable the service and adjust how many apps will be displayed on a static screen (before you begin scrolling through them). With "Paging" disabled, apps will display in a continuous flow. By using "App Snapshots," you can get a preview of the content on the app, compared to just having their icons. 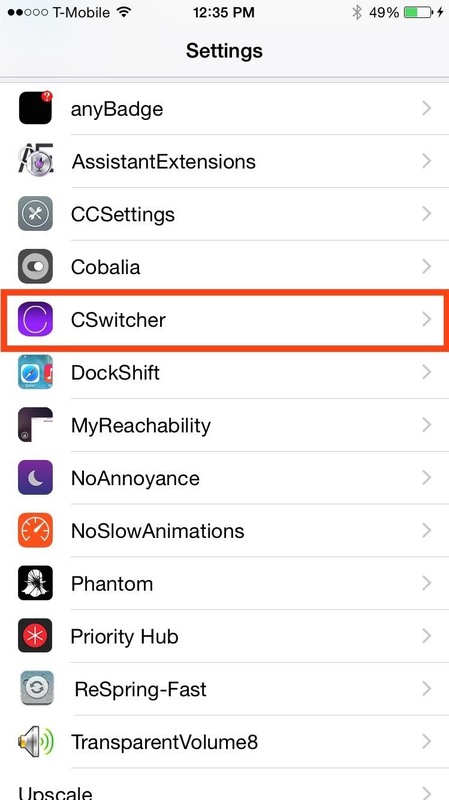 CSwitcher was recently re-submitted with compatibility for iOS 8, so if some of the features don't work initially, look for an update to come soon. 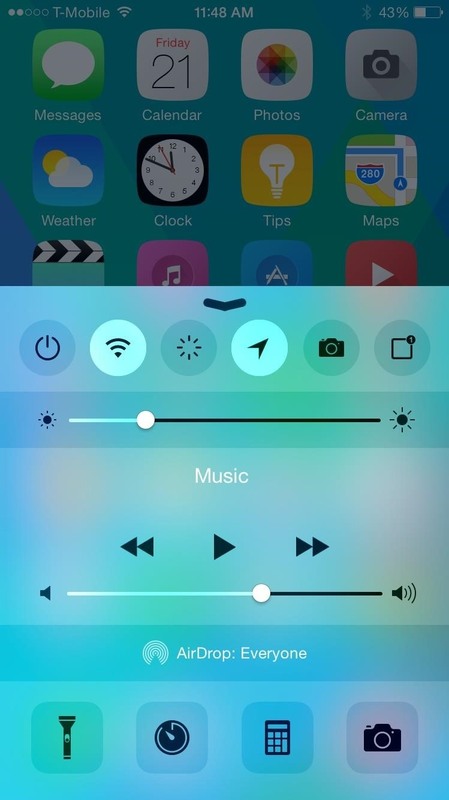 It is important to note that once the tweak is installed, double-pressing the Home button will no longer display the app switcher, instead calling up the the Control Center. Like the traditional app switcher, you will also be able to close applications by swiping them up. 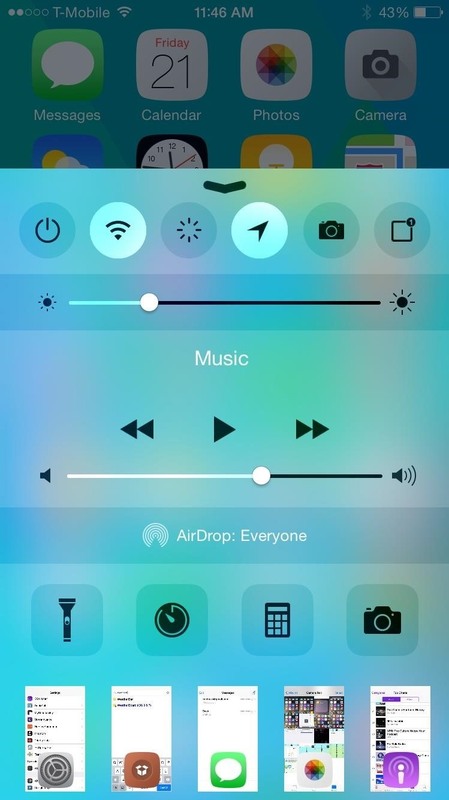 (1) Standard Control Center. (2) CC with CSwitcher enabled. Personally, swiping is an easier and quicker action to perform, and it's executable from any screen. If you're looking for other ways of sparing your Home key of so many presses, check out out Virtual Home and replace pressing with tapping. And always, be sure to let us know what you think of this tweak in the comments below, as well as on our Facebook and Twitter feeds.